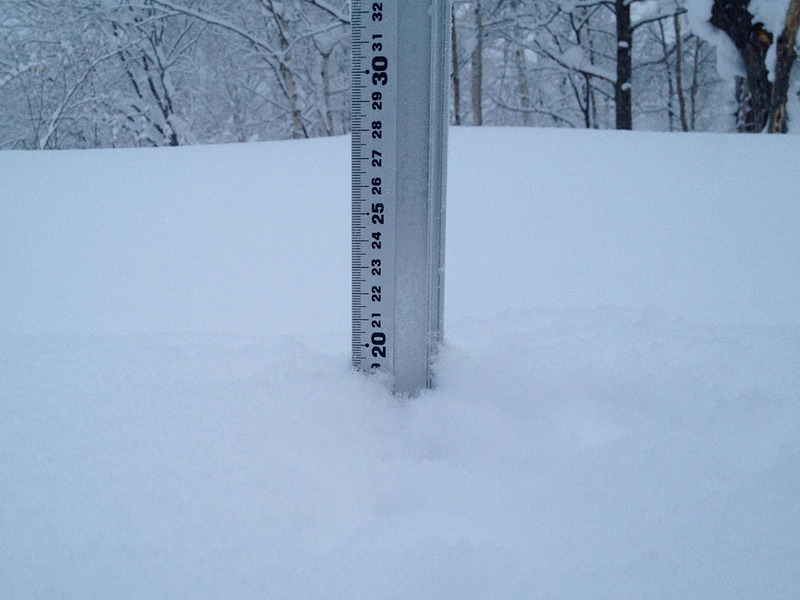 *12cm of fresh snow has fallen since yesterday morning and at 7:00am today the temperature was -18°C. We have clear skies this morning, but the last few days of quick accumulation have left the steeper sections of the mountain a bit dangerous – so be careful out there. Unfortunately yesterday a snow clearing operation damaged our weather station – we were able to get it back up and running, but only after having to clear all of the accumulated snow from the snow-depth ruler. Hence today’s photo is out of sync with the actual snowfall data. Ukairo – The highest green ski run in all Niseko ski grounds and made up of switch back turns along a cat track in the Niseko Village ski ground.